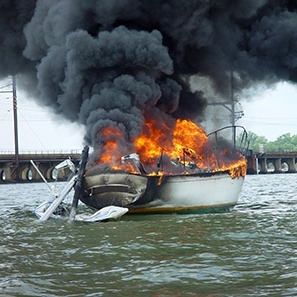 Whether you have suffered a loss arising from damage to a pleasure craft, commercial vessel, marina or pier or to cargo shipped pursuant to a marine bill of lading, our experienced admiralty, ocean marine and transportation lawyers can help both insurers and companies with large deductibles or self-insured retention limits recover the amount lost from the responsible parties. Like other subrogation claims, a successful recovery depends, initially, on a prompt and effective loss investigation. Therefore, when we receive a notice of loss, our lawyers work with you and a national network of forensic investigators to promptly investigate the loss and identify the responsible parties. In addition, they promptly review applicable admiralty and cargo-related laws – including the Carriage of Goods by Sea Act – as well as contractual barriers to recovery. Consequently, our lawyers have experience analyzing subrogation waivers, limitation of liability clauses, tariff provisions and contractual, bill of lading defenses such as Himalaya clause defenses. Using their extensive experience, our lawyers can help you identify and analyze the strength and weakness of your particular claim. Once our investigation identifies subrogation targets and after analyzing any barriers to recovery, our lawyers aggressively pursue identified targets. Where appropriate, our lawyers pursue alternative dispute resolution (ADR) procedures and, if the ADR process does not resolve the case, our lawyers aggressively pursue litigation. In pursuit of subrogation targets, our lawyers have experience litigating cases around the country.